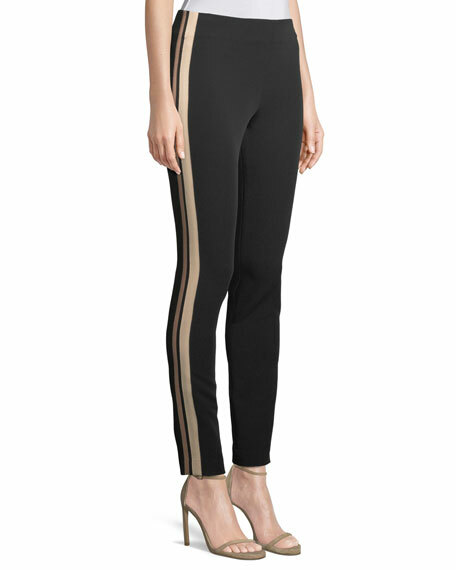 Cinq à Sept leggings with contrast racer stripes at sides. 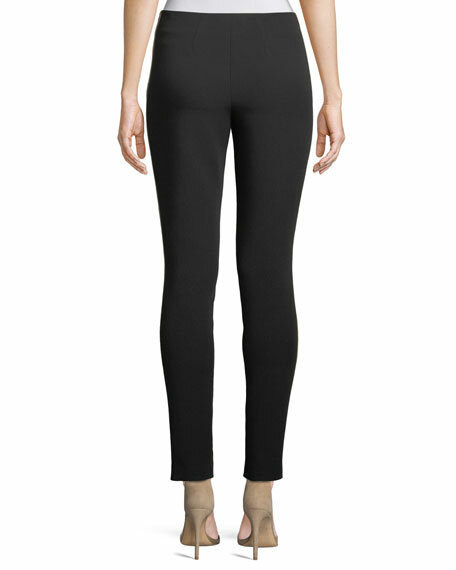 Koral Activewear "Aello" shantung leggings with colorblocked stripe. High rise; wide banded waist. Formfitting legs. Ankle length. Pull-on style. Shantung/nylon/polyester/spandex. Fabric 2, infinity/nylon. Made in USA of imported material. 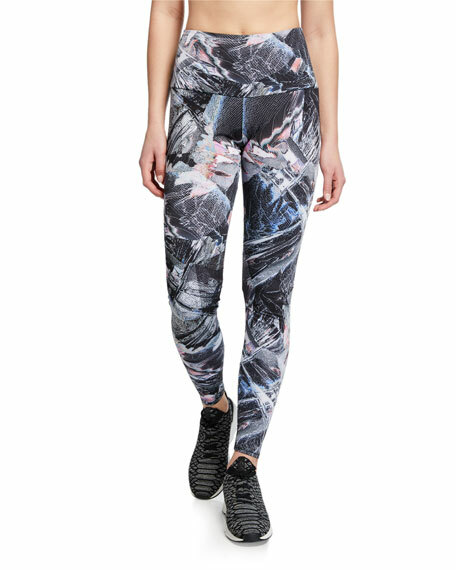 Onzie leggings with abstract print. Approx. length: 28.5" inseam (size S/M). High rise waistband. Second-skin fit. Ankle length. Pull-on style. Polyester/spandex. Made in USA of imported material. 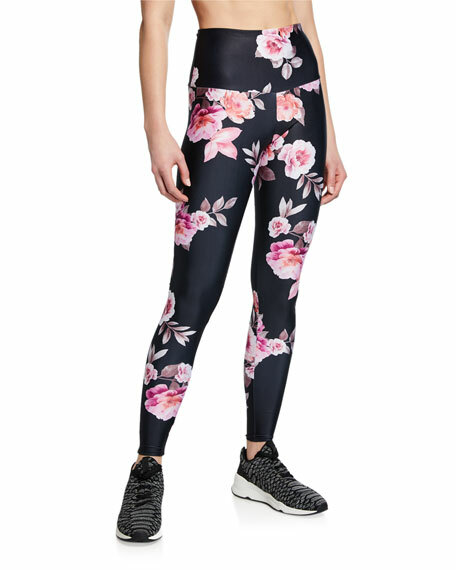 Onzie leggings with printed roses. Approx. 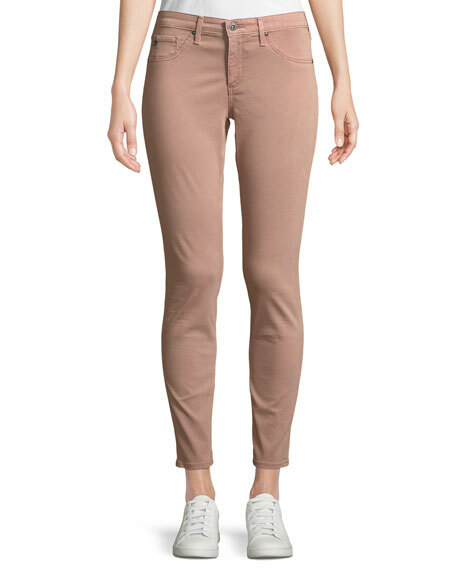 length: 28.5" inseam (size S/M). High rise waistband. Second-skin fit. Ankle length. Pull-on style. Polyester/spandex. Made in USA of imported material.